Thanks to a lower volume of phone calls and by adding paperless billing, for example, the portals can increase patient engagement and improve health. However, just offering a patient portal is not enough; patients must actually access them. As of 2017, only 28 percent of patients accessed their portal. The reasons patients cite for not using patient portals are varied. Below are a few of the barriers to use along with suggestions for overcoming those barriers. 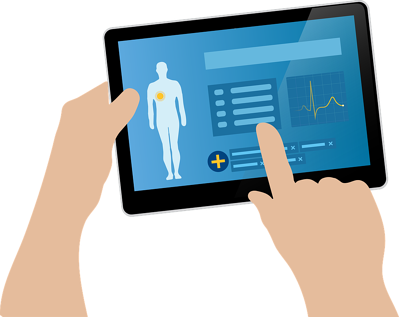 Mostly healthy patients or those not managing a chronic condition might think a patient portal holds little value. To overcome this perception, be sure to include features that appeal to your different patient populations, and focus on the value of these features in your messaging about the portal. Access to lab results is not a useful feature to patients who rarely undergo lab tests. Online scheduling of appointments, though, is widely desired. According to patient surveys, about 80 percent of patients prefer a physician who offers the ability to book appointments online. If information is too hard to find or navigating features is too difficult, patients more than likely will get frustrated and discontinue use of the portal. If you are currently providing a portal, perform an audit of the site to assess its ease of use. Count how many clicks it takes to view lab results, schedule an appointment or send a secure message. Similar to how physicians detest making extra clicks in an EHR, patients want to make as few clicks as possible to get the information they need. Patients often have low health literacy, so even if the information is available and easily accessible through a user-friendly interface, they might not understand that information. Patients certainly do not have the training physicians have in deciphering test results and what those results mean to their health. Providers need to provide patient education where possible. For example, along with the test results, provide a link to educational materials on how to read the results, what the results mean to their health and how they can improve their results. If patients are not aware of the portal, they will not access it, of course. Be sure to promote your patient portal through in-office signage, emails, billing statement inserts, text message reminders and your website. But just knowing about the portal is not enough for some; research shows that patients are more likely to use the portal when their provider advocates for the tool. However, a survey by the Office of the National Coordinator for Health Information Technology, found that only 75 percent of patients were encouraged to access their health information online. Providers need to promote use of the portal as a vital hub to healthier patients. Emphasize how an educated patient is a healthier patient, and focus on how the portal can provide them with more power in their healthcare management. Refer them to the portal to find patient education on how to be healthier, how to prevent illnesses and how to care for illness when they do. Increasing your patients' use of online portals has the potential of improving their health outcomes as well as improving your practice's administrative efficiencies. Patient portal adoption presents a win-win for all.